During the 1620s and early 1630s Frans Hals produced a sizeable group of genre paintings that included depictions of drinkers, musicians, children and fishermen of a type that disappeared from his repertoire in later years. These canvases depict a single figure, presented bustlength or half-length, captured in a fleeting moment charged with life and vigour and set in interiors or against plain backgrounds. Such subjects fall within the category of scenes of everyday life and seem to have been popularised by the Utrecht Caravaggisti painters. This controversial group of works was attributed to Hals almost without reservations in the early decades of the 20th century. Subsequent studies, however, particularly those dating from after the monographic exhibition on the artist held in 1937, reconsidered this group. As a result works by followers, imitators and a number of fakes were rejected. The present canvas was acquired from the Julius Böhler gallery in Berlin in 1929 and seems to have been on the New York art market prior to that date. The painting entered the Thyssen-Bornemisza collection as a work by Hans, an attribution that was maintained in all the collection’s catalogues from the time of 1930Munich catalogue until Gaskell’s publication of 1990. However, Ebbinge Wubben’s entry in the 1969 catalogue suggests that the attribution had previously been the subject of doubt. For that author, the issue had been resolved by the cleaning of the paint surface in 1963 to 1964. Following this, the newly visible colours and manner of handling led Ebbinge Wubben to conclude that it was indeed an autograph work. 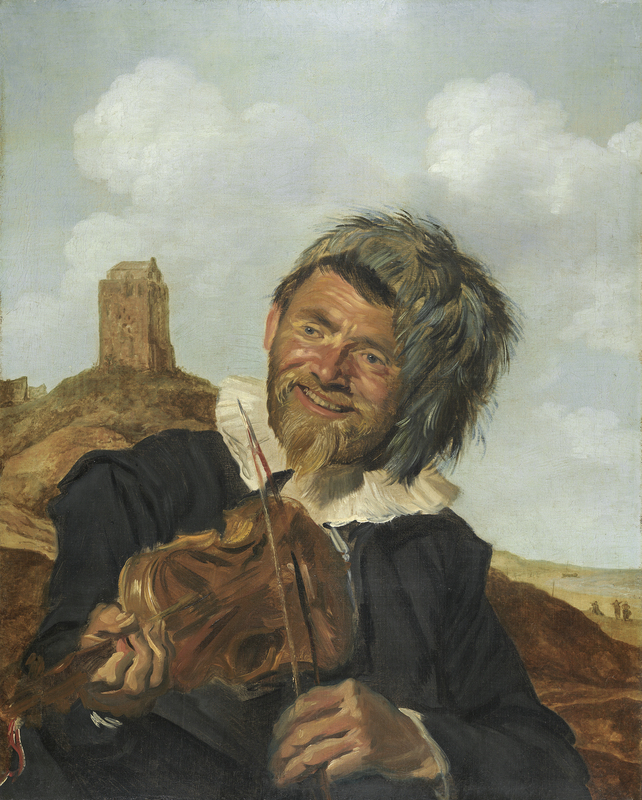 In his 1990 text Gaskell, however, decided to catalogue the painting as “attributed to” Hals, basing his opinion on a comparative analysis of The Happy Drinker in the Rijksmuseum, Amsterdam, of 1628‒30. Gaskell detected differences in the treatment of the faces, particularly in the transitions of the midtones and in the lines and colour modulations in the areas near the hair, considering that the present painting is harsher in these respects.